Set around a charming interior courtyard, Hotel Museo Mayan Inn is located next to Chichicastenango’s Calvario Chapel. It features individually decorated rooms and a restaurant. Hotel Museo Mayan Inn’s attractive rooms have colonial-style décor and dark wooden furnishings dating from the 1930s. Rooms offer garden and mountain views and include a fireplace. A range of Guatemalan and Central American cuisine is served in the Museo Mayan’s restaurant. Guests can enjoy a drink in the bar or on the patio. There is a lounge with a TV and a library. Central Square and its open-air market are within 5 minutes’ walk of the hotel. The town’s popular museums, including the Máscaras Ceremoniales Museum, are within 500 metres of the Mayan Inn. When you a stay at Hotel Museo Mayan Inn de Guatemala in Chichicastenango, you'll be in the mountains, within a 5-minute walk of Santo Tomas Church and Chichi Market. 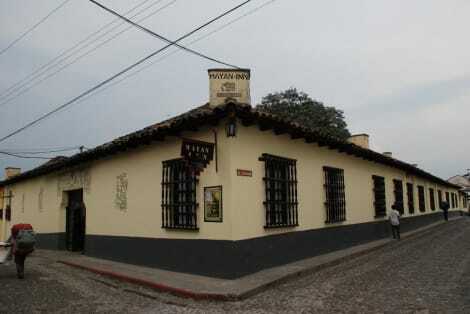 This hotel is 0.7 mi (1.1 km) from Pascual Abaj Shrine and 22.9 mi (36.8 km) from Azul Maya Archaeological Museum. lastminute.com has a fantastic range of hotels in Chichicastenango, with everything from cheap hotels to luxurious five star accommodation available. We like to live up to our last minute name so remember you can book any one of our excellent Chichicastenango hotels up until midnight and stay the same night.